Now, this post definitely deserves a heads up. Because this whole thing is REAL. 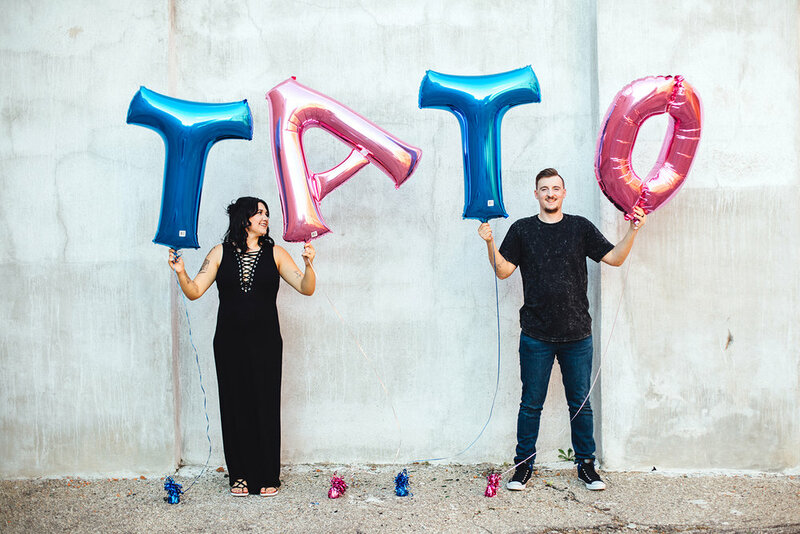 Sometimes people like to do gender reveal photo shoots and stage it after they intially find out whether their baby is going to be a boy or girl. But Chanel and Dan here wanted to find out for real, at their shoot, and have their real reactions documented for their photos forever. So, when they they found out, a letter came from the doctor and it was given to Chanel's mom, Sandra, who had to hold the secret in for almost 2 whole weeks without telling anybody (GOOD JOB SANDRA OMG)... especially her daughter! And they are pretty much besties, those two. So you can imagine how difficult that was for both of them lol. Sandra ordered confetti canons online specific to the gender of the baby and they were made to be completely secretive until they were popped open and used. She had them shipped over to Chanel and they had to patiently wait until our shoot date to find out what they were having. And well, even the anticpation had me super excited!! Congrats again to Chanel and Dan! And thank you SO MUCH for having me not only capture this whole thing for you guys, but to experience it with you!! I have to admit this was my very first gender reveal and it is going down in the books as one of my favorite things ever. MORE OF THESE PLEASE, WORLD. PS: If you're wondering what Tato is/means... it's their nickname for the baby. Before they found out whether it was a boy or girl, they wanted to start calling the baby something other than "it" so they started referring it to as potato. And then it just turned to tato. And I think it's the cutest frickin thing ever.